Greatness awaits, and we recently recommended upgrading your brand new Playstation 4 with a solid state or hybrid drive so you don't keep that greatness waiting. We were fairly certain there would be noticeable improvements to loading times, and it turns out we actually underestimated the benefits. Yesterday Kotaku shared with you a video from Tested comparing the boot and load time differences between the three types of drives, and we'd also like to point you to this great breakdown from the fine folks at IGN that puts the numbers side by side. To sum up IGN's findings, the Hybrid Drive is the best bang for your buck, the SSD is the fastest, and both options show "notable gains" over the stock drive. 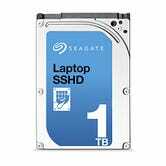 The Hybrid drive is also a very inexpensive way to bump your storage up to 1TB. Coincidentally, the 1TB model of the Samsung 840 EVO we recommend is sitting at its lowest price ever today. Our recommendations are below and remain the same.